Being an active member of international relations, Turkmenistan systematically refines the base of international-legal documents. Joining the main international-legal documents of the United Nations, including the sphere of human rights, Turkmenistan takes practical steps on the implementation of the clauses of these documents. In this direction, the cooperation with authoritative international organizations, primarily the United Nations and its structural agencies is the priority course of external policy vector of the country. The issues of maintaining the human rights and gender equality were and will continue to be the important component of multilateral cooperation of Turkmenistan. Today, concrete achievements were attained in our country in the sphere of providing gender equality in the framework of Sustainable Development Goals formulated in the Agenda 2030. 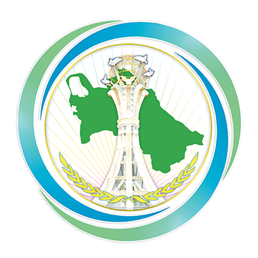 Along with men, women also hold high posts in the Parliament, Ministries of Health Protection and Medical Industry, Education and other organizations of state administration of Turkmenistan. The process of developing gender policy reflects the systematic work on perfecting the national legislature. Observing the obligations assumed, Turkmenistan has developed a strategy on promoting the gender equality. The consistent steps are taken in the country on attaching the generally accepted international-legal norms and guidelines to the national legislation related to creating equal opportunities for women. Today, in the Parliament of Turkmenistan there was a signing of documents and programs with international organizations on ensuring the implementation of international obligations of Turkmenistan in the area of human rights and gender equality. -“The Program of Cooperation for 2016-2020” and the “Rolling Work Plan 2019-2020 Partnerships for Child Rights” between the State Committee of Turkmenistan on Television, Radio broadcasting and Cinematography, the Central Council of the Women’s Union of Turkmenistan and the UNICEF Representative office in Turkmenistan. In the process of perfecting the base of international-legal documents of Turkmenistan, a special attention is paid to close cooperation with the UN and other international structures which enables successful implementation of human rights and gender policy in the country.